Although there are many things we have to talk about the two operating system but we have to cut it short. I would like to give you 5 quality differences between the two OS, although windows 8 is the latest windows operating system in the market as at hand, which we all know that the latest has the latest brand and would have some much qualities than that of the old one, but the truth of the matter is that if you don’t know the difference between the two you can’t know the best, so by reading this article you would have to know differences that are in the two OS and know the best. Just give yourself the hope that you would get the best result from this article. First of all I would list some of the two Operating system features without explanation and give the differences between the two. Now these are some few features between the two operating systems, I would now go into the difference, because by knowing the differences between two OS you would know the one you have to go for. It is certain that windows 8 is has the latest operating system so far but there are some other things that makes windows 7 different from windows 8 those things would go below. Windows 8 has a charming and attractive desktop background that makes the users have interest on it while windows 7 has a simple and complex desktop back ground, although the look is not that bad but that of windows 8 is far better than it. 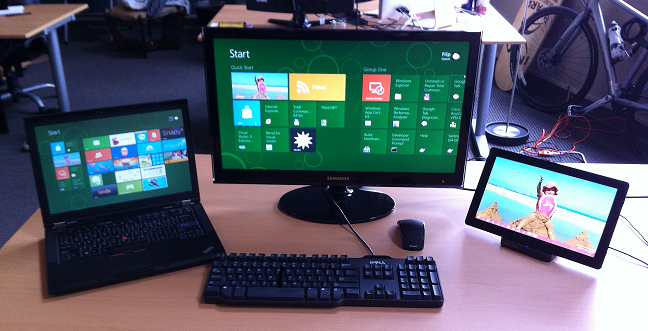 In that sense windows 8 has a better or has a quality desktop background than that of windows 7. Windows 7 has the START MENU button while windows 8 doesn't have any, but there is a key that represent the START MENU button on the windows 8 Operating system, that key is far different from that of windows 7. The windows 8 start menu button is called Search Charm; you can use the search charm to search for anything you want to search for on your windows 8 computer. The ordinary password which is the typing password is a common commodity on the old windows operating system, now a new type of password form is now introduced by Microsoft, you can use the picture password to unlock your computer. When you want to unlock your computer you would have to give out some features on the picture then your computer would unlock. This is a very good and useful way to protect your password for those that don’t know how to secure their computer. In this case windows Operating system 8 is much better than windows Operating system 7. Although this are not these are not the only differences the two OS has but the article is just a brief up, to show that the new windows 8 has a features than that of the windows 7. I am James Micheal, I am an Amateur blogger who blog per-time, I write article mainly on computer tips, you can visit this site to see some of my interesting articles procomputertech.com like how to format a windows 7 hard drive.